Pretty porcelain white dishes add a clean, crisp, look to any color scheme. 8.25” Salad Plate. China. Contemporary styling. 4” round x 2.5” tall. 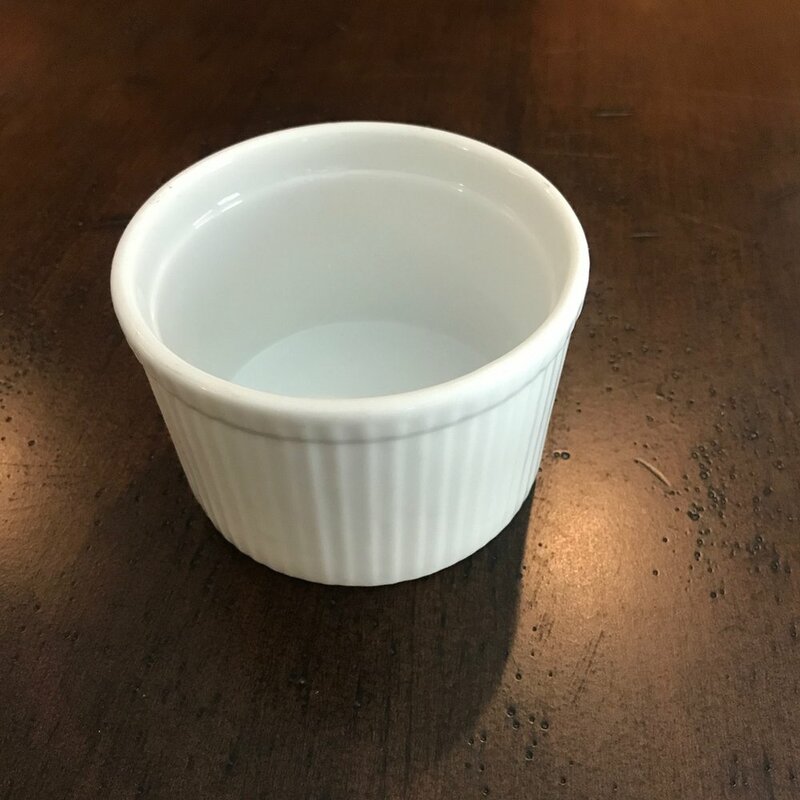 White ramekin with ridged sides. 17.5” x 9” rectangle. Great for appetizers or desserts. 9”X7.75” oval. 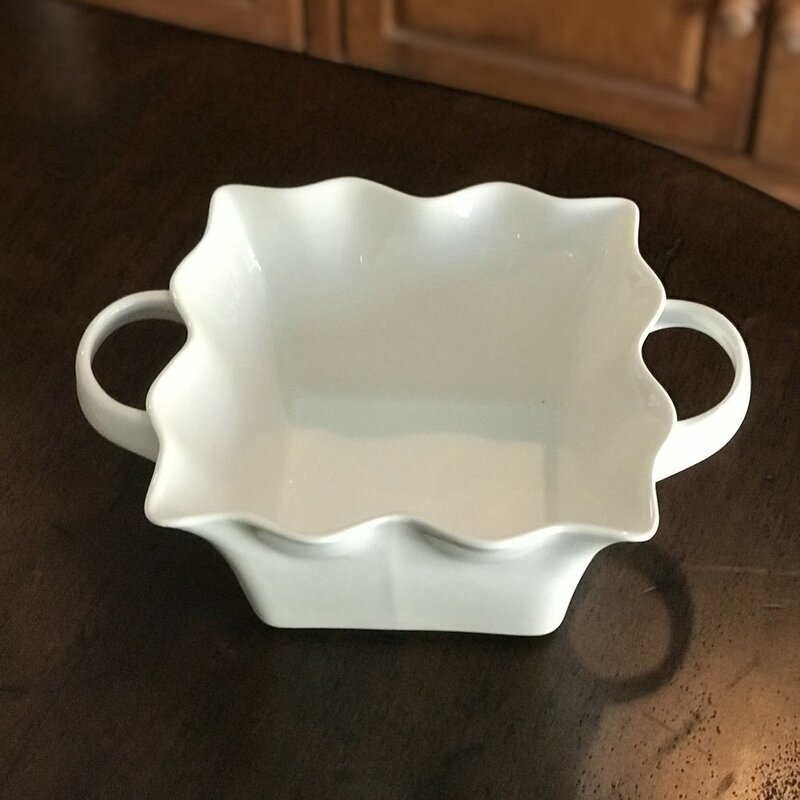 Perfect for appetizers or luncheon plates. 3” round x 2” tall. Appetizers, sauces, or small desserts. 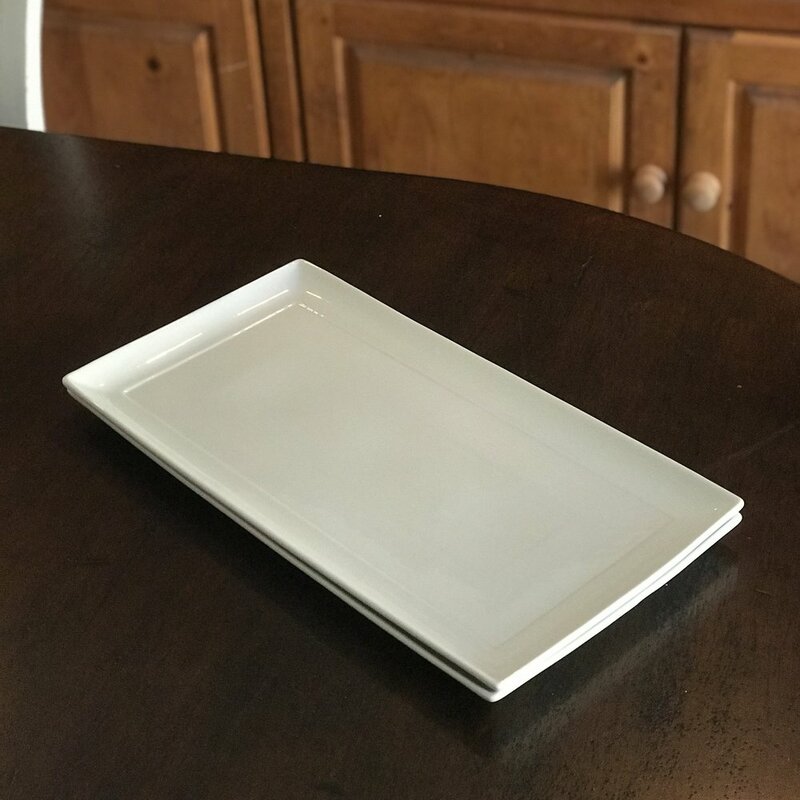 White Rectangle Serving Plate Small. 11” x 7.25” rectangle. Just a little smaller version. 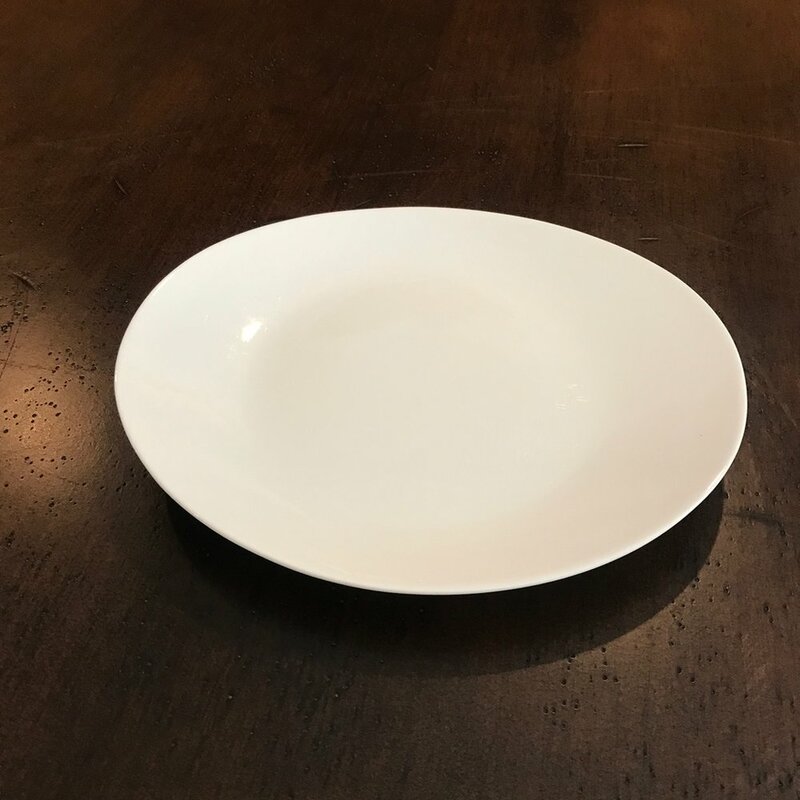 12” round white bone China..
11.25” Dinner Plate. China. Contemporary styling. 4.75” round x 1.25” tall. 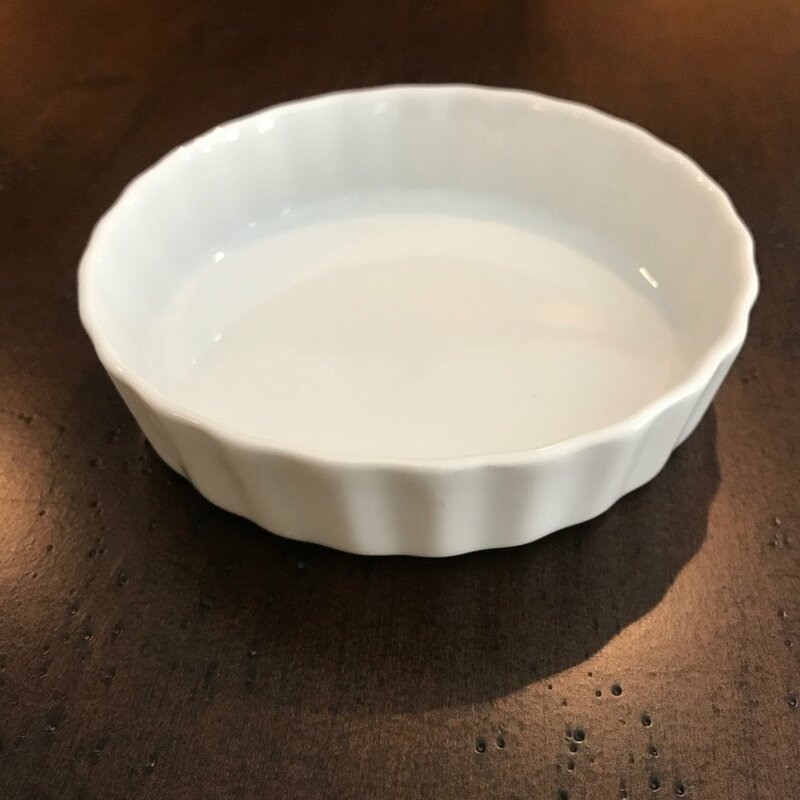 Scalloped side ramekin. 6” square. Divided into four sections. Two sizes: 10” x 6” or 7.5” x 5”. Two handles.